Gyudon (rice bowl with beef) is popular food in Japan. It’s so cheap that lots of young people like it including me. 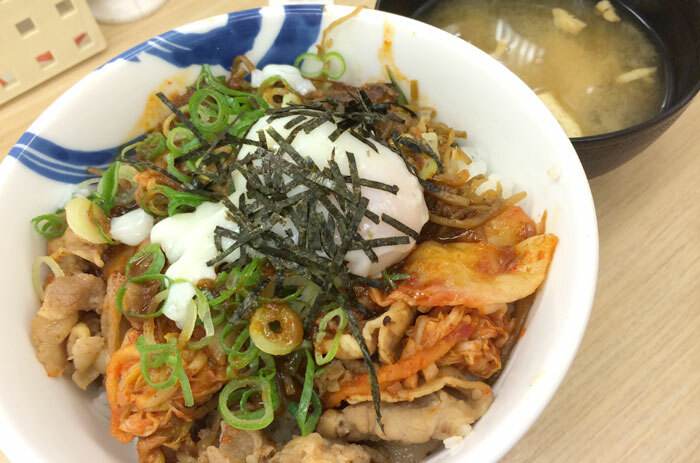 There are 3 major gyudon restaurants, Yoshinoya, Matsuya and Sukiya. 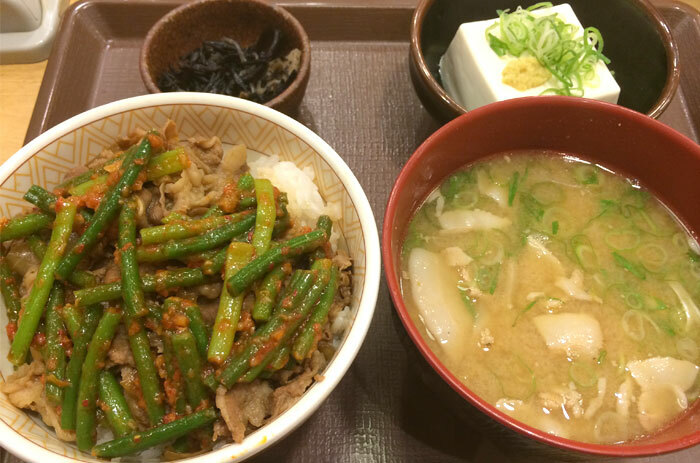 Especially Sukiya serves a variety of Gyudon. You can enjoy different toppings like cheese, kimchi, okura and so on. Look at this! It’s shinning! I had never imagines the combination of cheese and gyudon before I ate it for the first time. 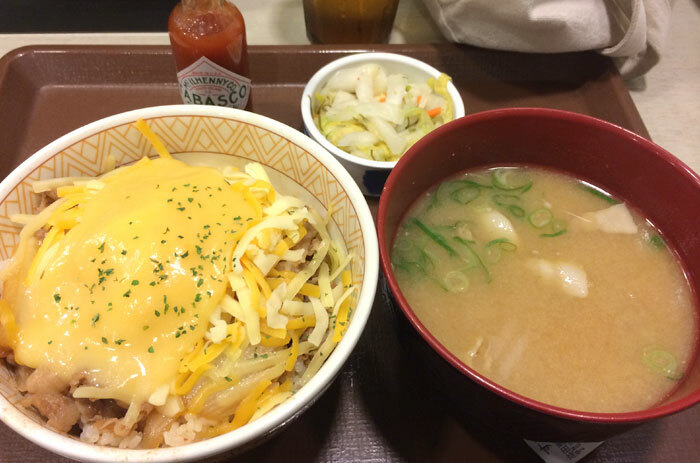 “Cheese Gyudon” is my favorite. Three kinds of cheese are mixed. It’s 410yen(Tax excluded). This topping is green stems of fresh garlic. I also like it! As for Matsuya, one of my favorites is “Bibindon”, which may be inspired by Korean food “Bibimbap”. I can’t describe this beautiful harmony… it’s just 450yen. Kimchi, burdock and egg should be stirred. It’s so easy for you to find those restaurants. There are so many gyudon chain all over the place in Tokyo.